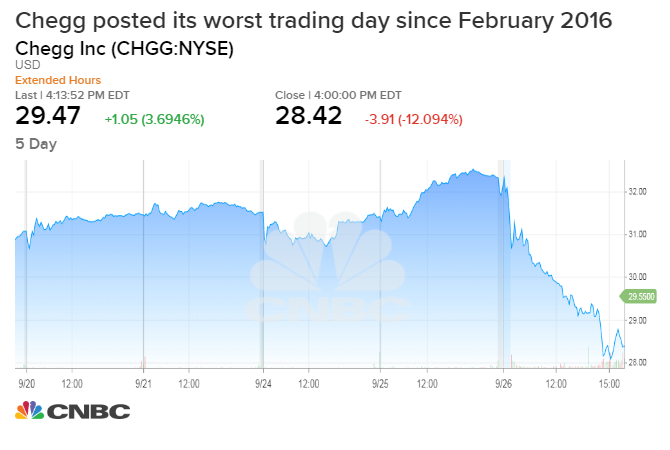 Chegg plunged more than 12 percent Wednesday after disclosing a data breach that could affect customers’ user information. In a filing with the SEC Tuesday, the online textbook rental and tutorial company said that, in late April, an unauthorized party gained access to a company database hosting user data — including names, emails, shipping addresses and passwords. Chegg said user data for its family of brands, including EasyBib, could also have been impacted. 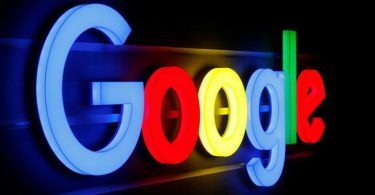 The company said that it first learned of the breach on Sept. 19 and, today, plans to start notifying approximately 40 million registered users and regulatory authorities about the incident. “Chegg takes the security of its users’ information seriously and will be initiating a password reset process for all user accounts,” the ed tech company said in the SEC filing. Chegg added that no social security numbers or financial information, such as users’ credit card numbers or bank account information, were obtained in the incident. The company’s stock posted its worst day of trading since February 2016. 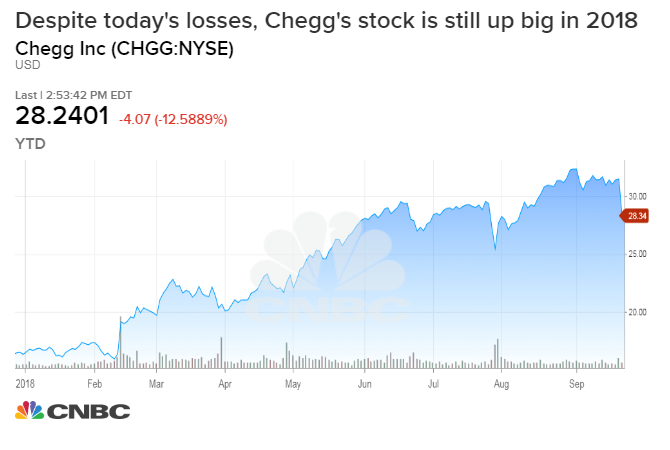 Chegg, though, said that it does not expect the security incident to have a material impact on financial results going forward this year. The company said the investigation is ongoing but reaffirmed its previous guidance for the third quarter. This is the latest in a series of customer data breaches in recent months. In March, Under Armour informed users of its online fitness and nutrition application, MyFitnessPal, that their data had been compromised in a breach affecting an estimated 150 million people. In May, Hudson’s Bay Co said that data from card payments in some of its Saks and Lord & Taylor stores in North America had been compromised. And, earlier this month, British Airways said that it wasinvestigating a customer data breach on its website and mobile app in which around 380,000 card payments were compromised. Despite Wednesday’s declines, Chegg’s stock has still jumped more than 70 percent since the start of the year. Heading into September, Chegg had posted gains in 16 of the previous 19 months. The company reports third-quarter earnings on Nov. 5.